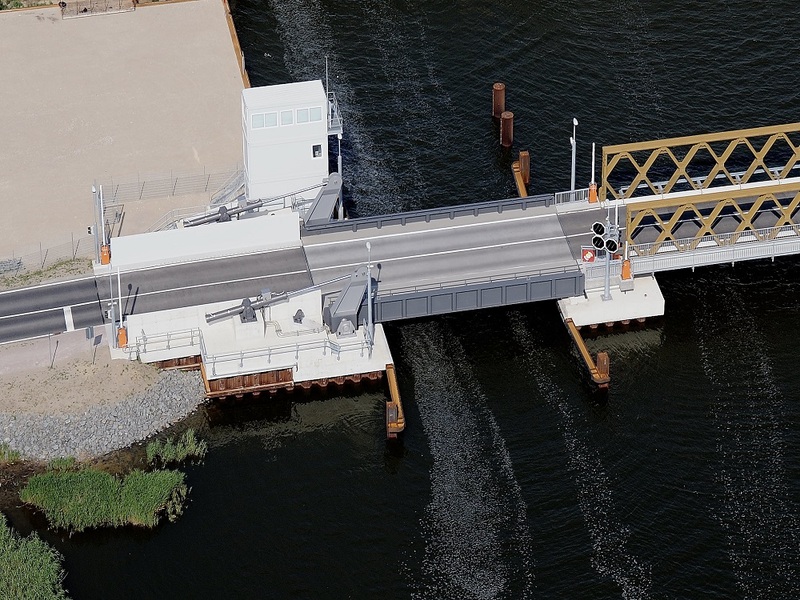 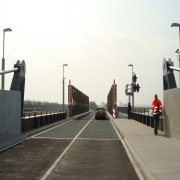 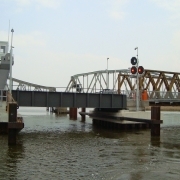 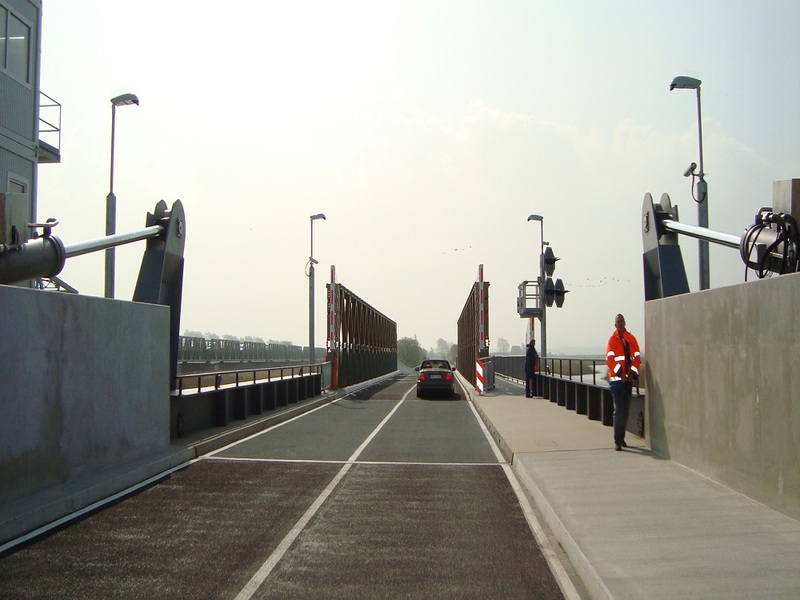 The new 213.90 m long temporary bridge was built in the axis of the former bridge. 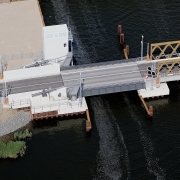 It consists of 4 partial structures: Partial structure 1 was designed as a movable bascule bridge and located within the area of an existing waterway. 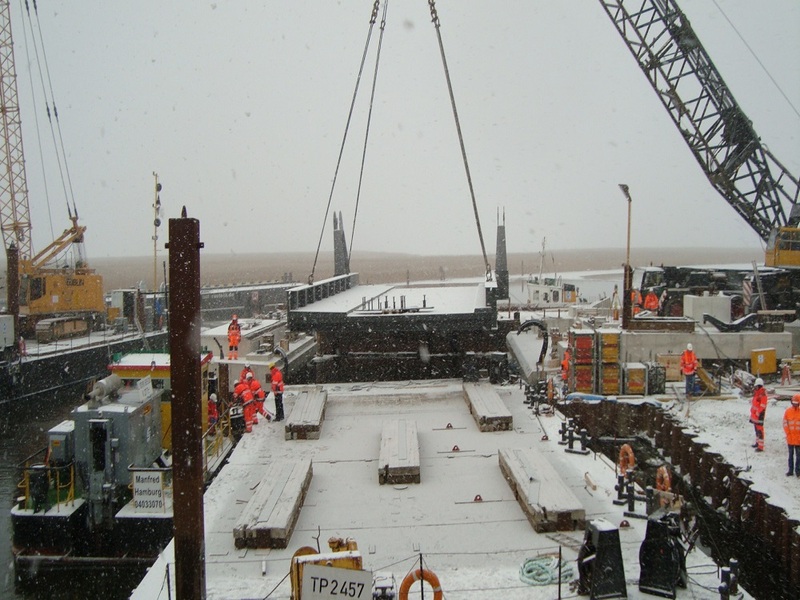 The superstructure of the bascule was produced as an orthotropic slab. 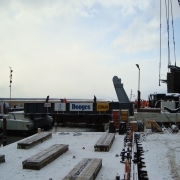 The two main girders are solid wall girders and are located on both sides outside the usable superstructure cross-section. 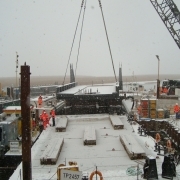 The superstructure of partial structure 2 consists of the “D-bridge”, a steel trough bridge with lateral shear frames next to the roadway and a flat roadway made of an orthotropic roadway slab. 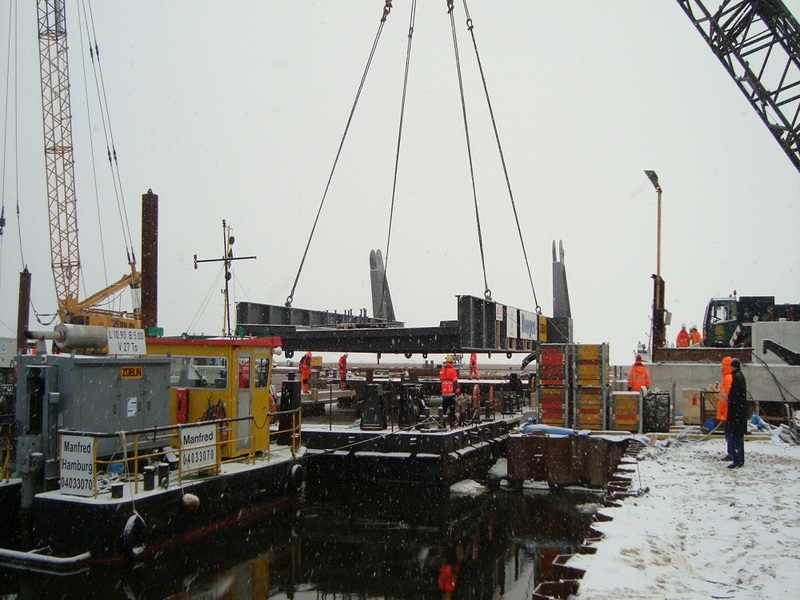 The superstructure of partial structure 3 consists of a chain of single-span girders with individual support widths of 14.15 m and 15.27 m respectively. 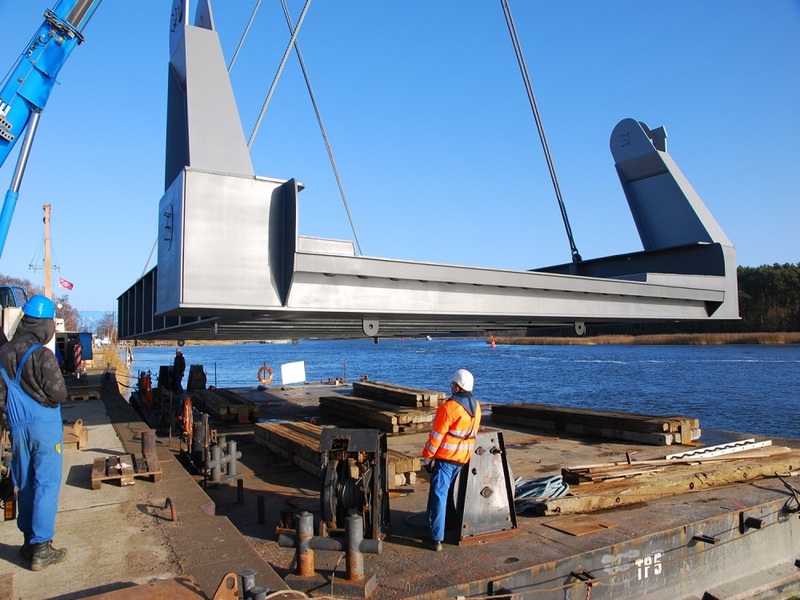 The main supporting structure of the superstructure is made of longitudinal steel beams. 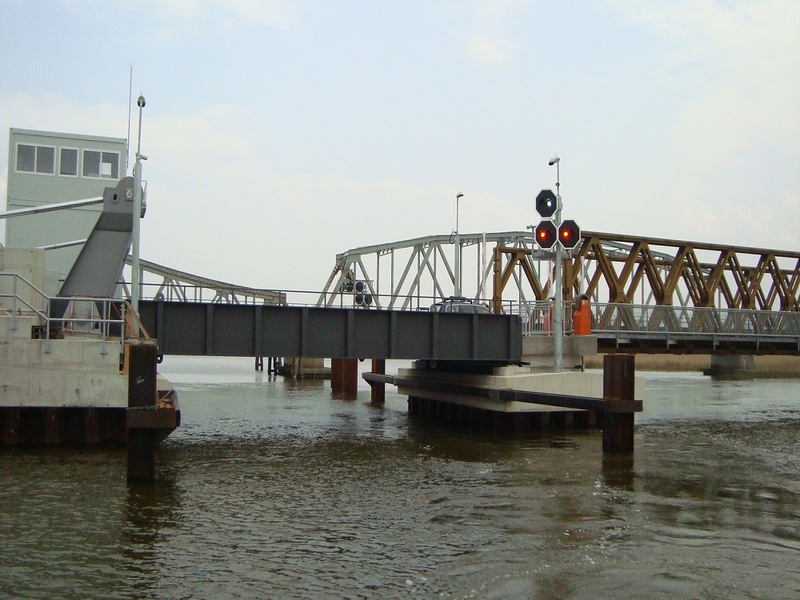 Partial structure 4: the existing Bresewitz foreland bridge was reinforced. 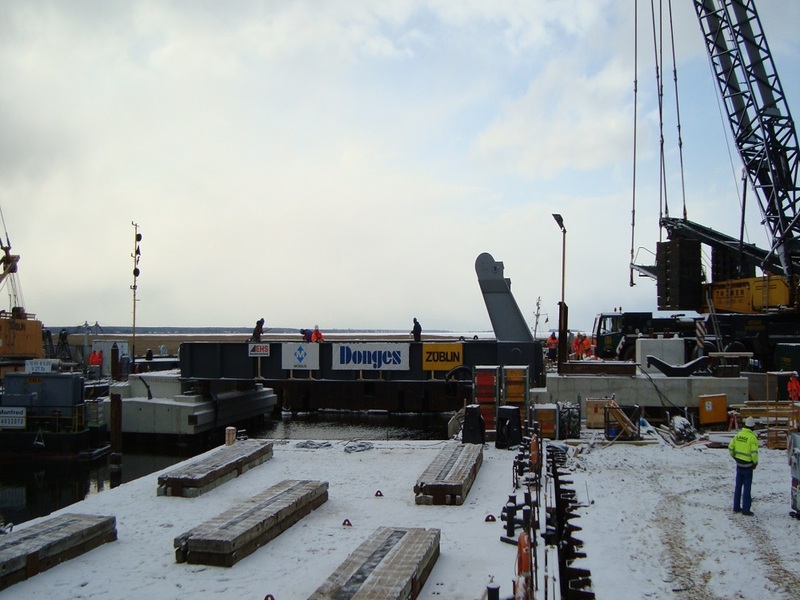 Donges manufactures, delivers and assembles the complete steel structure including corrosion protection for partial structures 1 and 3.